Now a days when everyone want to play online to entertain themselves. 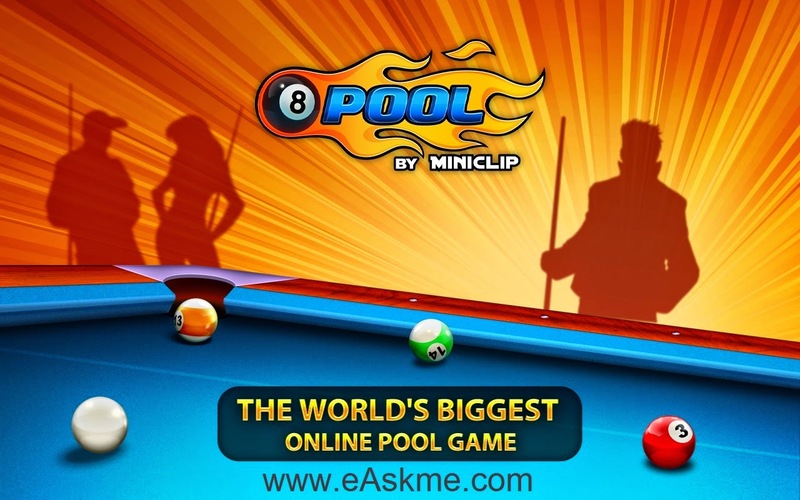 We bring you the world`s most popular online game 8 Ball Pool Online for free to play. 8 Ball Pool is the best and biggest multiplayer online Pool game. You can play one on one, multiplayer, enter in tournaments and win coins and crowns. As you win it will make your level up. This is one of the best pool billiards game. More than 100 million people are already playing this game online. This is a game where you play with a stick and balls we call solid and stripes. Either you choose solid or stripe when you shoot them with stick and put them in pit with your shots. At the end of all your balls you have to put Black Solid ball and this will make you win. Just Click on Play As guest and game is ready for you to play.